2 Bedroom Semi Detached House For Sale in Uddington for £155,000. - New Build Property By Cruden Homes . 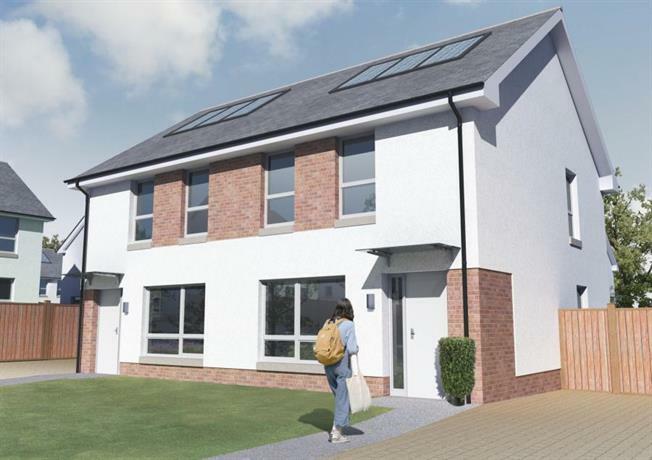 The Blossom is a spacious 2 bedroom semi-detached home. The ground floor features a comfortable lounge with double doors leading to a spacious kitchen/dining area. There is a convenient W.C. and shower room off the rear entrance hallway. The upper floor consists of two generous sized bedrooms and a family bathroom. Both bedrooms feature built in wardrobes and an extra storage cupboard completes this floor.